The beauty and diversity of nature has been a recurring theme in this year’s new music at the Proms, whereas religious sentiment has been entirely absent—until, that is, last Tuesday’s performance of Sofia Gubaidulina‘s The Rider on the White Horse. Culled and reworked from her 2002 oratorio St John Easter (which, with its counterpart St John Passion, comprise Gubaidulina’s magnum opus), the work draws on imagery from the most vivid and strange book of the Bible, the Revelation to John. Considering the brevity of the piece (just over 10 minutes’ duration), its level of intensity seems at first surprising and perhaps even self-defeating: within moments, Gubaidulina hurls us from distant, semi-audible glitter into a mosh pit of broiling, heraldic tutti bursts. Yet this approach entirely mirrors that of St John’s writing, where a curt, introductory paragraph is all that stands between the reader and the blinding white overture of his sequence of visions. In both John’s account and Gubaidulina’s music it’s possible to mistake their overwhelming levels of force for a kind of supernal bombast, lacking in either restraint or subtlety. But both have considerable episodes of intimacy and calm, episodes that provide the necessary context for the more momentous passages to gain their colossal fortitude. 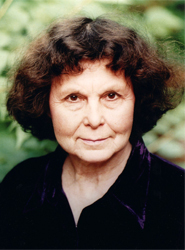 However, there’s absolutely no forgetting that is apocalyptic music, and Gubaidulina embraces the idea wholeheartedly, galloping strings and rasping brass racing towards a trio of drummers and some of the most pugilistic counterpoint you’ll ever hear. One thinks of Messiaen’s Et exspecto at the start of the work’s longest section, deep strings doubled by low winds, until the music seems first to soften, before turning to acid, at which point the biggest and loudest of all instruments, the organ, extends the orchestra’s power; it’s in these passages that the piece comes closest to sounding barely constrained, the organist practically fighting to prevent his instrument from unleashing a boundless torrent. For a while we’re forced to ride atop these impossibly vast waves of sound, before crashing down into extremely quiet string shivers, accompanied at altitude by assorted chimes and bells (similar to those heard at the start). Whereupon Gubaidulina demonstrates she’s just been catching her compositional breath before The Rider on the White Horse‘s final offensive, an in-your-face fanfare underpinned by monumental organ confirmations. Shimmering out of existence only leaves us, as John must have done, wondering what on earth we’ve just witnessed. The short duration does, to an extent, limit the force of the piece, but as a faithful capturing of an epic piece of transcendent imagery, it’s superbly effective. This first UK performance was given by the London Symphony Orchestra conducted by Gubaidulina’s greatest interpreter, Valery Gergiev. Anti-Spam Quiz: What colour was the horse?